If you are Lenovo S860 user and want to connect your device to a computer or flashing firmware on your device. Then you need to download the required drivers for your device. 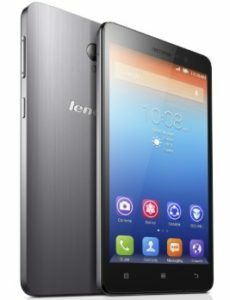 Here, you will find the official drivers for Lenovo S860. Lenovo S860 is an android smartphone that was launched in 2014, May. The phone comes with Dual-Sim mechanism. The size of display is 5.3 inches with a resolution of 1080×720 pixels. The version of software installed on it is Android 4.2 (Jelly Bean) and you can also upgrade it to Android 4.4.2 (KitKat). The connectivity medium include WLAN, Bluetooth, GPS, Radio and USB. It is powered by quad-core 1.3 GHz cortex-A7 with 2 GB RAM. The internal memory of the phone include 16 GB. For photos and videos, it include 8MP Primary camera with LED flash including feature and 1.6MP secondary camera for selfies. The sensors on the phone include accelerometer and proximity. It is powered by Li-Po 4000 mAh battery to support the power back-up. The price of Lenovo S860 is 18,748. Let us know in the comment section if you are facing any problm related to this post.